Eliminate those pesky paper cuts while reducing the time and mess of manually sealing envelopes. 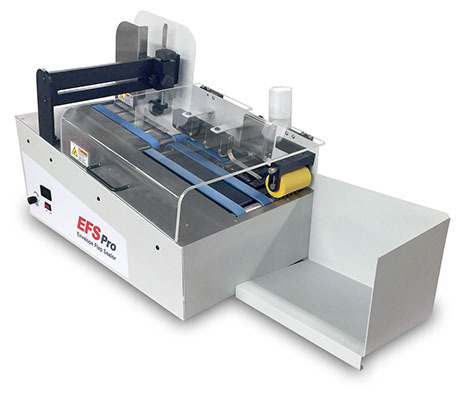 The NEW EFS Pro is an automatic envelope sealer designed by Streamfeeder and features the Postmatic Envelope Sealing System. From an A5 envelope up to a 10×13 and with various types of flaps, the EFS Pro will provide consistent feeding and flap sealing quality. 6×9 to10x13 Most Announcement Envelopes A-Flap, A5-A10. EFS Pro Feeder Stand and Infeed Extension Kit – Feed, seal, and stamp in one pass using this kit. 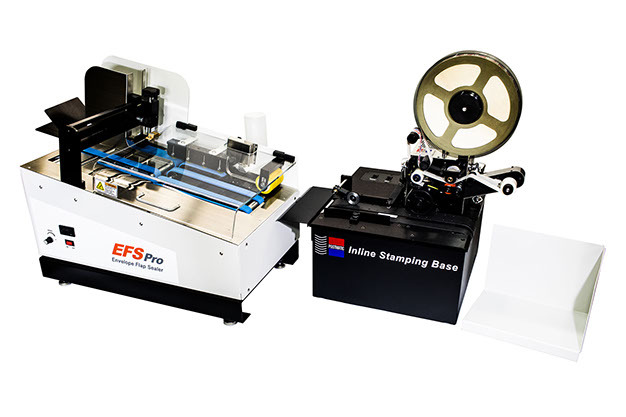 Includes EFS Pro stand and Infeed extension for Inline Stamping Base. Find the product you need now!